This is a cool pic of a black cat and how it relates to Philosophy, Metaphysics, Theology, and Science. Very funny! 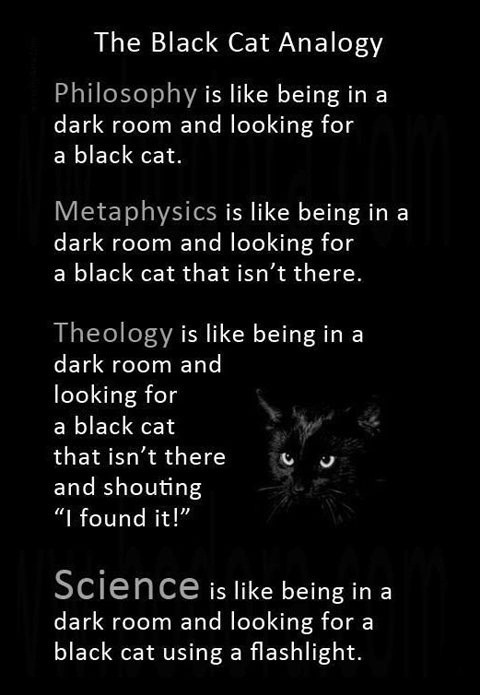 My favorite is the theology example where the black cat isn't even in the room.